approx. 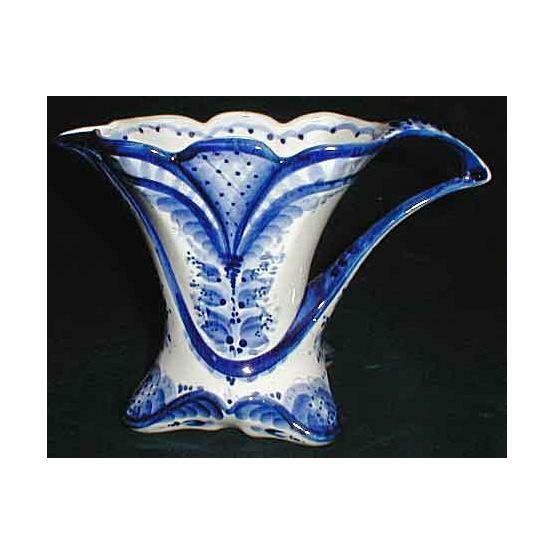 8" x 6" x 3.6"
As all Gzhel works this charming porcelain jug was first created in a plaster form being cast from liquid porcelain mass. After the first burning the form was painted by cobalt. The background was kept white. Then the painting was covered by glaze. 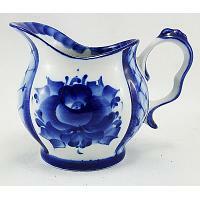 Glaze fused and made the surface of the work glassy, giving cobalt its blue colour. 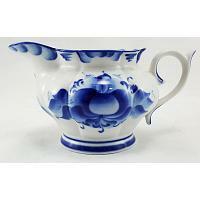 This is a top quality Russian Gzhel porcelain work that would make a fancy gift to anyone.